Associate Professor, University Paris Est, UPEC, France; Unit of Digestive and HPB Surgery, Henri Mondor Hospital, Créteil, France. Since its introduction in 2000, robotic surgery has been widespread adopted in multiple surgical fields. The implementation of a robotic platform in teaching hospitals or tertiary and secondary care centers is nowadays seen as necessary to provide modern minimally invasive surgery and expand the offer of advanced surgical techniques. Clinical but most importantly patient-centered outcomes may be improved, and generally the use of robotic surgery is positively received by the patients. A less intense postoperative pain and a fast recovery are the major advantages associated with this minimally invasive technique. On the surgeon’s perspective, robotic-assisted surgery allows performing complex procedures with greater precision, consistency and control, and enhanced ergonomics. The application of robotics in colorectal surgery is a topic of recent interest in the literature. 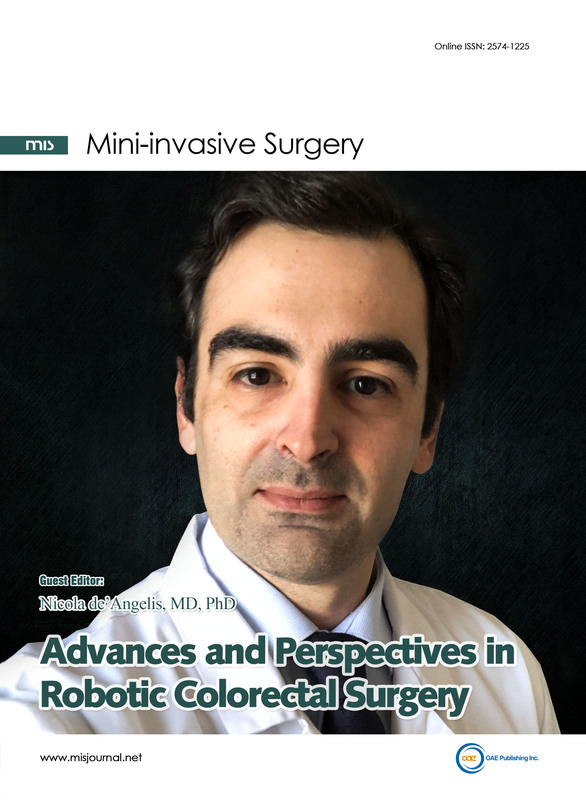 This special issue of Mini-invasive Surgery aims to provide a general overview of the recent advances in robotic colorectal surgical techniques, the advantages and drawbacks, the clinical outcomes and surgical indications, the economic impacts and the surgical perspectives. Articles of special issue are free of charge for article processing.